Zeppelin relies on its own first-class technology for rubber and tire plants. Optimet, an Ophir Photonics / Newport Corporation company, provides sophisticated, non-contact measurement sensors and scanners for distance, 2D, and 3D measurements of complex, hard-to-measure objects. The German technology company specializes in laser systems for processing of delicate technical surfaces. SAFE – RUN MACHINERY (SUZHOU) CO. LTD.
Safe-Run is a rapidly growing machinery manufacturer and solutions provider for state of the tire building machines and curing presses. At Bay Systems we provide advanced measurement systems that help tyre designers optimize their products for noise/vibration/handling/safety and reduced rolling resistance. The recent addition of accurate internal tire liner temperature measurement is shown below. Cold Jet is the world leader in Dry Ice Cleaning and Dry Ice Production solutions. GVD Corporation offers a next generation mold release solution for tire manufacturers. RapidRelease™, a permanent release coating, offers long term performance without affecting tire appearance. The special Fluids division of Total, a French based company is working on innovative and high purity hydrocarbon fluids for many industrial applications. MAKROchem, utilizing its commercial experience of 20 years, leads the market of European suppliers of Carbon Black with annual sales amounting to 160 000 mt of Russian CB and delivery of ca. 30 000 mt of overseas CB to tire and rubber plants. Gottschol Alcuilux CZ (GACZ) is the largest Spring Vent manufacturer and its developer, being present on the market for almost 20 years. 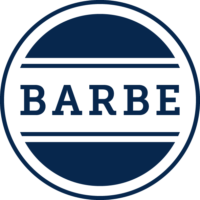 The BARBE group of companies, headquartered in Germany, has over 65 years of experience in developing, manufacturing, and distributing high-performance processing aids for polymer producing and processing industries. SEEB Automation is always focused on achieving quality, repeatability and flexibility. SEEB Automation answers its customers’ requirements by bringing onto the market innovative equipment answering its customers’ needs. Automobile manufacturers have had systems in place to track and trace parts and components for many years. Glanzstoff Industries, with three production sites in the Czech Republic, Italy, and Luxembourg as well as a worldwide distribution network, is leading in the production and processing of high-tenacity viscose filament yarns and fabrics for technical and textile applications. Real Time was founded in September 1988 and is an established supplier of business consultancy and IT systems development services to the Travel and Transport, Finance, Utilities, Telecoms and Oil and Gas industries. Continental's Business Field Bladders is your worldwide supplier for Curing Bladders, Tire Building Bladders, Compounds, Steelcord, Fabrics and Retreading Materials. CyXplus is a major player in the Non Destructive Testing industry, and constantly works at supplying the most efficient inspection solutions to demanding manufacturing industries. Forbo Siegling is one of the leading manufacturers of conveyor and processing belts. 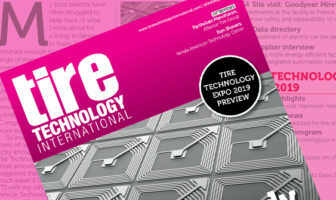 The NTRC began operating the world's premier force-and-moment tire test machine in January 2013 and has since become the epicenter for tire testing and tire model data fidelity. All tyre makers are seeking ever-tighter manufacturing tolerances, whilst throughput rates are steadily rising. KraussMaffei Berstorff extrusion lines are conceived for high product quality and maximum output and are equipped with extruders of different types and sizes. Chem-Trend, a global leader in the development and production of high-performance release agents and casting lubricants. Some ideas are so simple and yet so radical that they can change the way in which the world works. For the tire industry, the next paradigm-shifting idea is automated tire handling. The Pelmar Engineering Group is excited to announce the continuous expansion of its tire production equipment range for tire manufacturers. LKY Dry Ice Robotic is partner for industrial services and stands for German quality since 1987. Their expertise represents all around services in cleaning by using dry ice robots and dry ice blasting technology. For more than 90 years, Micro-Poise Measurement Systems has offered a complete line of equipment used by tire and wheel and tire and wheel assembly manufacturers to meet their testing requirements. We are an innovative and independent partner for tire manufacturers worldwide. Cimcorp’s flagship solution for the tire industry, Dream Factory, is bringing the benefits of Industry 4.0 to tire producers around the globe. Uzer Makina, a global company , has been serving the tire industry more than 35 years and also established an impressive client list in the global market place and serves many leading tire manufacturers in Turkey, Europe, United States, Middle East, Far East and Russia . VanRiet Material Handling Systems. Started as a family owned business, grown out to be a global system integrator. The German Company specializes in laser measurement systems for the tire industry. After more than 21 years of market experience with the Dr. Noll GmbH, Dr. Noll himself founded the new company GLM in 2015 and took over the knowledge of the industry, staff and existing systems. The continuous expansion of Evonik’s existing ULTRASIL® precipitated silica production sites as well as the construction of new sites in close proximity to tire manufacturers aims to ensure the timely and sufficient supply of precipitated silica for tire production sites around the globe. The German technology company specialises in measurement technology for the automotive industry. 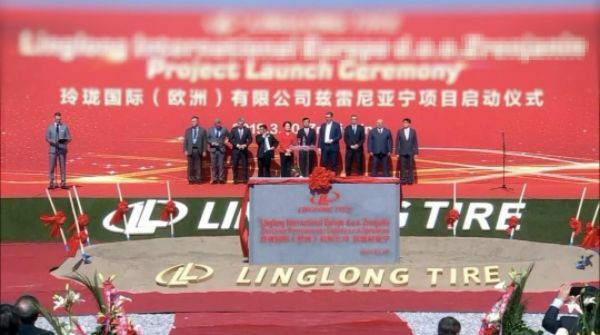 PPG has been working with the global tire industry since the 1930s, when it introduced the first reinforcing fillers formulated from precipitated silica.